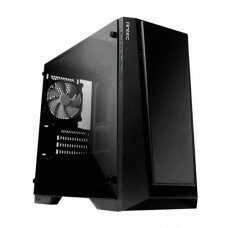 Antec DP301M Compact Micro-ATX Gaming Casing is another Dark Phantom Antec new gaming series. 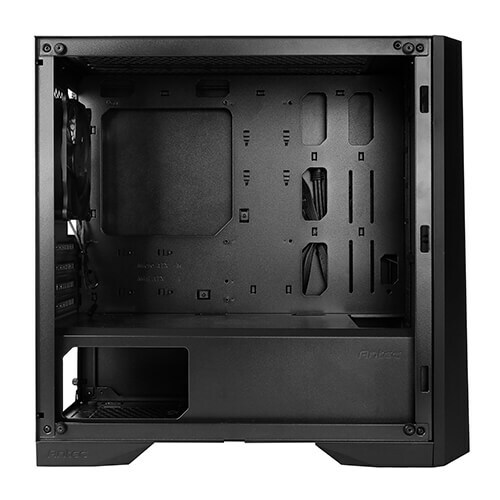 It still keeps excellent quality and the capability of being equipped with high-performance components. 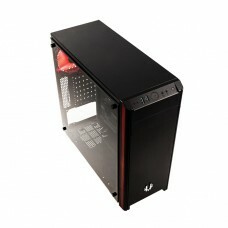 In this gamoing casing, the ARGB boomerang front panel design represents the agility and speed in the gaming realm. 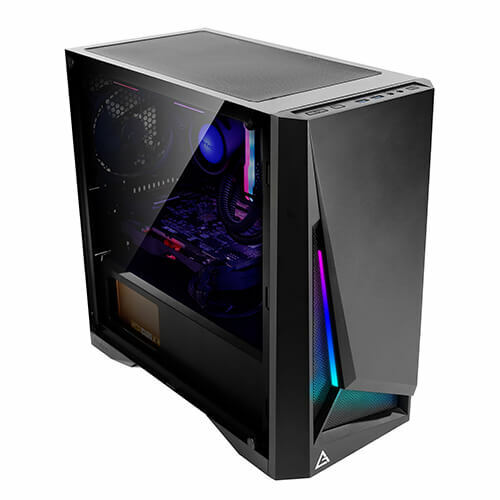 This Micro-ATX casing is built in 420 x 210 x 402mm (LxWxH) dimension with SPCC & Plastic and Tempered Glass Side Panel with 4.9 kgs net weight and 5.9 kgs Gross Weight. 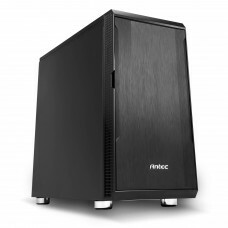 Its mainboard supports Micro-ATX、Mini-ITX with USB3.0 x 2, MIC/AUDIO(HD), Power, Reset, Mode Front Access & Controls. Here used 4 Expansion Slots, these are two 3.5"/2.5" (convertible) and two 2.5". 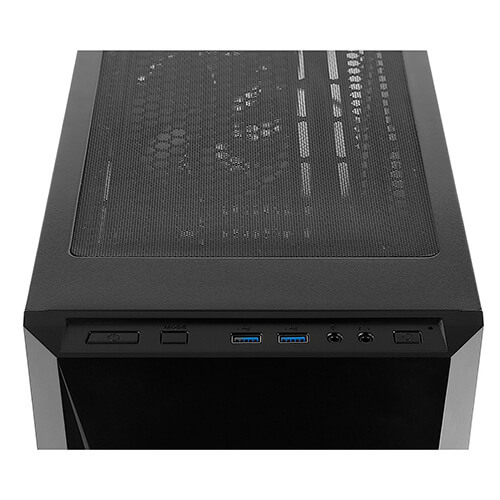 In this casing, 3 x 120mm / 2 x 140mm cooling in front, 2 x 120mm / 2 x 140mm cooling in the top, 1 x 120mm cooling in rear and included 1 x 120mm in rear fan are added. 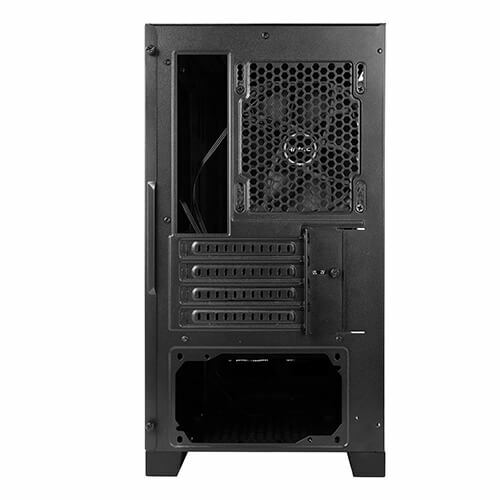 It radiator support ≤ 280mm in front and ≤ 120mm in rear with ≤ 360mm Max GPU Length, ≤ 160mm Max CPU Height, ≤ 170mm Max PSU Length Clearance. 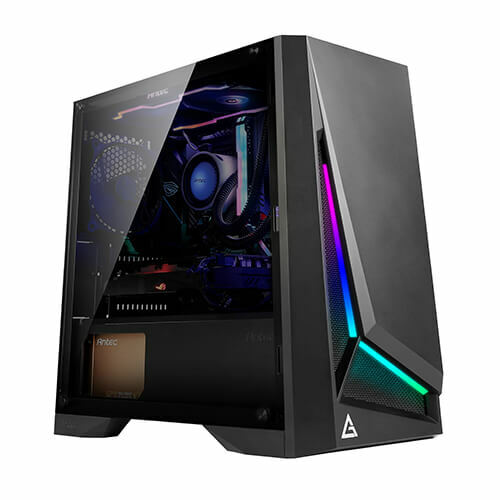 The DP301M is the perfect choice for gamers to enter the gaming world.